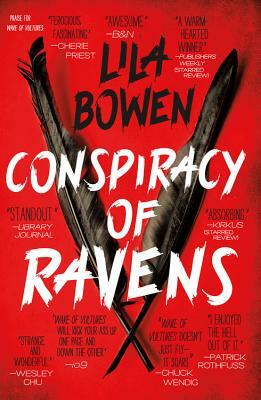 The sequel to Wake of Vultures and second novel in Lila Bowen's widely acclaimed Shadow series. Lila Bowen is a pseudonym for Delilah S. Dawson, who writes fantasy, horror, young adult, comics, and romance. She recently won the Steampunk Book of the Year and May Seal of Excellence from RT Book Reviews. Delilah loves fancy boots, trail rides, adventures, and cupcakes and lives in the North Georgia mountains with her husband, children, a Tennessee Walking Horse named Polly, and a floppy mutt named Merle.